Ralph Helmick, John Outterbridge, Stuart Schechter, 1997. Landscape architects: Takata Associates. 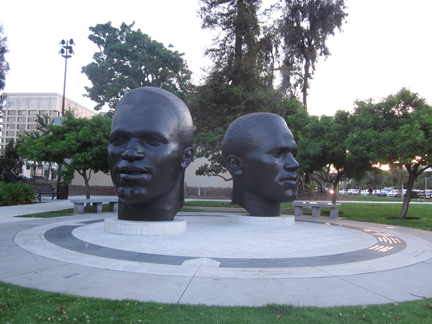 Centennial Plaza, 95 North Garfield Avenue, Pasadena, California.